Safricom is one of the major telecom service provider in Kenya. 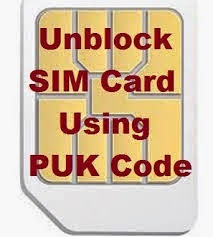 You can get your PUK code for locked SIM card through Online support as well as Mobile Helpline numbers. Remember that PUK code cannot be generated by any downloaded software. So be aware to avoid unnecessary blocking of your SIM card because of incorrect PUK code attempts. Go to official webpage of Safaricom and Choose Live Chat option to request the PUK code for your locked SIM card. You may be asked some security questions in-order to verify your identity. For Postpaid call 200 or +254 722002200 and Prepaid Safaricom customers call 100 or +254 722002100 from any other Safaricom mobile and speak with the helpline number to retrieve the PUK code. You can also request PUK through email to advantage@safaricom.co.ke , attaching the vetting details signed by the owner of the SIM card. If you reside inside the city like Nairobi , then you can directly visit the Safaricom showroom to unblock your PUK code. The customer care person will ask the SIM number printed on your SIM card which contains 8 to 15 numbers. You have to tell the owner of the SIM card which is registered on the name while buying it. Some other basic details to Confirm that you are the owner. If you manage to convince the customer care person, then they will provide the PUK code. After entering this PUK code , the mobile will ask you to reset the PIN number. You can give a 4 digit PIN number and don't forget it . If you are using smartphones, try to avoid using PIN code password of SIM card .Better use some App locking application like Applock, 360 security .You can download them from Google play store for free of cost.